When a baby is born, they reach out for someone to hold them and make them feel that they have company. Their initial cries manifest an indication of their need for attention. The child learns that there are people who lovingly provide his needs so he learns the concept of love and care. Growing up, the child understands that the smallest unit of society, to which he was born into — the family, is not the only group of people they have to live with. The positive values, attitudes, and skills that are instilled in the child by the family are not meant to be only expressed within the family circle. 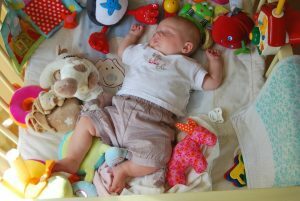 As the child grows, they meet new friends at a childcare and other people outside the home, and they feel their social responsibility becoming heightened. Your child understands that living in social harmony with others is a factor that makes life worthwhile. They realise that man cannot live by himself alone. They learn that in a community, each member can count on some degree of care and assistance from each other. 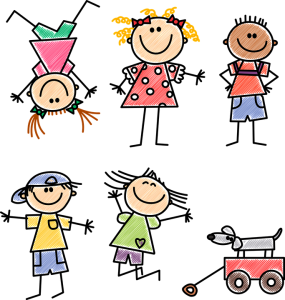 It is important therefore that the children’s social skills are enhanced so that they will always find themselves socially compatible to people with different backgrounds that they are going to meet in their journey towards adulthood. Equip them with the usual courteous expressions to be used when introduced to guests and to those whom they will be meeting for the first time. When visitors come, they have to be given the chance to say “Hi” or “Hello” and give them the chance to introduce themselves before they are sent to their bedrooms as parents entertain the visitors. Introducing phrases during early learning such as “Excuse Me”, “I’m sorry” teaches them courtesy. Train your kids to practice neatness, cleanliness, and being orderly all the time. What they learn at home or at a preschool will always be with them when they go out and mingle with the others. Clean and neat, children are always a delight to be with. Good values and etiquette are essential in the modern world. Always take the opportunity to expose them to social gatherings, be it a family get-together with relatives and to activities with other kids and their parents. From observations, parents will find out how they behave with relatives and if observations show that there are some behaviours to be checked, it can be addressed immediately. Help the child realize that negative behaviors have the tendency to frustrate others and this can also harm relationships. As they grow, when they are with non-relatives, they will learn to be more careful with their actions. These experiences will make them learn how to handle themselves well and how to react to situations that are not right or make them uncomfortable. 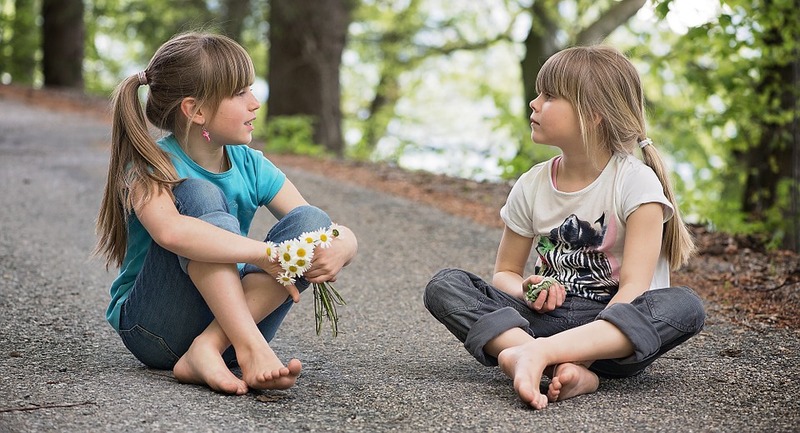 Different situations of social interaction will help them hone their social skills. Always remind the children to be gracious whenever they find themselves in the company of others. 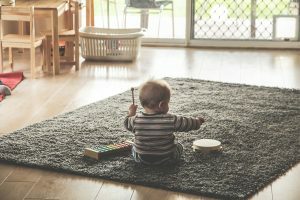 Social situations such as playing with others at a kindergarten or during mealtimes are a very good chance to show how a child conducts themselves in harmony to social standards. Taking turns speaking, following rules, or taking their fair share of the food offered will speak a lot about how they were taught at home the importance of being gracious. Being greedy when in a group results in negative reactions and this action definitely upsets the social balance that the members of the group want to achieve. As kids of certain age level do not know the difference between right and wrong yet, it’s best to educate them with phrases that are age-appropriate. Last but not the least, remind the kids to always practice the Golden Rule: “Treat others the way you want to be treated.” They learn how to respect individual differences and respectfully express their experiences and viewpoints. This will help them to confidently socialize, make new friends, and resolve issues. When established at a young age, they will realize that they should be nice, polite and helpful, and should be aware that the way they deal with others can greatly impact their relationships, as well as their academic and professional life. Open communication is helpful when parents teach their kids about social skills as they become good in expressing themselves and in listening attentively, which may allow them to handle relationships and solve social issues well. This often makes them demonstrate cooperation and confidence. As our children grow, they realize that by being respectful, compassionate, and being sensitive to the needs of others, coupled with the right values and attitude, nothing can stop them from being successful in interacting with their fellowmen in this ever-changing society. Pezibear / 6383 images via Pixabay under the Creative Commons CC0 licence. rudyanderson / 16 images via Pixabay under the Creative Commons CC0 licence. ast25rulos / 30 images  via Pixabay under the Creative Commons CC0 licence.